Doris (93) was born in Burbank, California and graduated from Hollywood High School. Her stories of California during the war years were entertaining for the whole family and she would regale them with colorful tales of movie stars and bond drives. She loved road trips and traveled all over the country with her second husband in their VW bus rigged out as a custom travel trailer. Doris especially loved to cook, had subscriptions to all of the cooking magazines and watched the Food Network on TV. Doris was known for her ever-present smile and helpful ways. As a friend she could be relied upon and as a neighbor she was always there to help in any way possible. 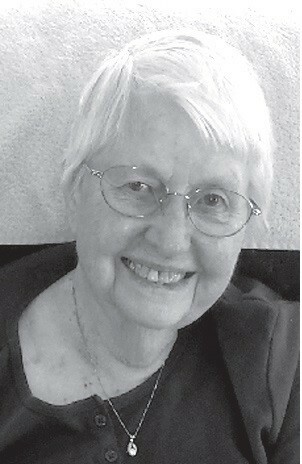 She will be greatly missed by her community where her volunteerism was greatly appreciated. The sound of her laughter is what most will miss about her. After her retirement as legal secretary for a private firm, she moved to Washington State and then to Oregon in 2010. She is preceded in death by her parents, her siblings, her husband and two sons. Doris is survived by one son, four stepchildren, her grandchildren and great-grandchildren. Hers was a happy and full life.